The most frequently featured author in Appalachian State’s Hughlene Bostian Frank Visiting Writers Series, Robert Morgan is the author of fourteen books of poetry. He has also published nine volumes of fiction, including Gap Creek, a New York Times bestseller. A sequel to Gap Creek, The Road from Gap Creek, was published in 2013. A new novel, Chasing the North Star, was published in 2016, following a new book of poems, Dark Energy, in 2015. In addition he is the author of three nonfiction books, Good Measure: Essays, Interviews, and Notes on Poetry; Boone: A Biography; and Lions of the West: Heroes and Villains of the Westward Expansion, 2011. He has been awarded the James G. Hanes Poetry Prize by the Fellowship of Southern Writers, and the Academy Award in Literature by the American Academy of Arts and Letters. In 2013 he received the History Award Medal from the DAR. 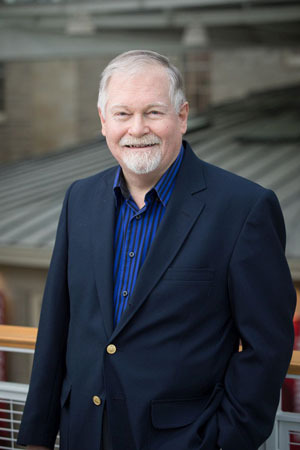 Recipient of fellowships from the Guggenheim and Rockefeller foundations, the National Endowment for the Arts, and the New York State Arts Council, he has served as visiting writer at Davidson College, Furman, Duke, Appalachian State, and East Carolina universities. A member of the Fellowship of Southern Writers, he was inducted into the North Carolina Literary Hall of Fame in 2010. Born in Hendersonville, North Carolina, in 1944, he has taught since 1971 at Cornell University, where he is Kappa Alpha Professor of English.